MANILA - Scores of campaign materials for May's midterm elections were still up outside common poster areas in the capital on Monday, the eve of a deadline for dismantling the illegal ads. The Commission on Elections gave candidates until Feb. 12 to voluntarily take down campaign posters that exceed the size limit of 2 by 3 feet or were posted outside common areas and in private property without the owner's authorization. Oversized posters were still visible in some streets outside designated areas in Manila during an early Monday patrol by DZMM's news team. Some tricycles and pedicabs plying the capital also sported campaign materials. In the central province of Negros Occidental, meanwhile, some candidates have started to dismantle illegal campaign materials. 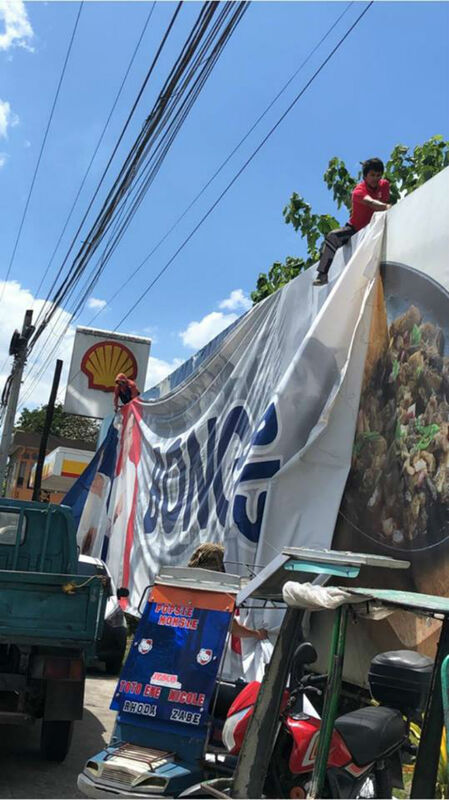 Among those taken down was the tarpaulin of a senatorial candidate along Bacolod town's busy Circumferential Road. The Comelec on Monday will start documenting unlawful campaign ads, which could serve as basis of protests for election offense, said commission spokesperson James Jimenez. The poll body does not recommend civilians to dismantle the posters by themselves as this may invite retaliation from candidates, he said.